PDF format is used widely in our daily life, while, sometimes, we have to convert the PDF to other formats for different purpose. EPUB is one of the most frequently used output format that people want to convert from PDF because EPUB is the best format for reading on ebook reader. Say, you've got a lot of ebooks in PDF and other formats, but some e-readers—like, oh, this iPad you just bought—only support specific formats with their default reader apps. In this circumstance, you have to convert those PDFs to EPUB format. Here we introduce some PDF to EPUB converters for Mac from Mac app store for your selection. The Enolsoft PDF to EPUB is a simple utility that helps you convert PDF files into EPUB eBooks format for your mobile device. This PDF to EPUB app supports batch conversion when converting from PDF to EPUB format, very fast conversion. It offers drag and drop to add the PDF easily. After conversion, the converted EPUB file keeps the original layouts and fonts. It also has Lion compatibility. The app is mainly used to convert PDF to EPUB format eBooks for reading on all kinds of mobile devices. PDF To EPUB is a software that quickly converts PDF documents to EPUB ebook formats. So you can read eBooks more easily on your iPad, iPhone, iPod Touch, Sony Reader or other eBook Readers. 1. Convert PDF documents to EPUB ebook formats; 2. Convert PDF to EPUB with Original mode Output epub ebook file include original layouts, text content, images, and hyperlinks; 3. Convert PDF to EPUB with Text mode Output epub ebook file only include text contents; 4. Convert PDF to EPUB with Image mode Convert pdf contents to jpg images (one page one image), output epub ebook file include these images; 5. Send the epub ebook to iTunes automatically. PDF Converter is an affordable, easy-to-use tool that allows a PDF document to be converted to a fully editable MS Word, Excel, or PowerPoint Mac 2008/2011 file; or even an HTML, EPUB, or plain text file. 1. Convert PDF files to fully editable MS Word, Excel, PowerPoint Mac 2008/2011 files, or HTML, EPUB, text documents, allowing full editing and publishing capabilities; 2. Conversion from PDF to supported export formats preserves original presentation layout, fonts, and embedded images/charts/graphs with fast speed; 3. Converts encrypted PDF documents to supported export formats without printing and copying restrictions; 4. Batch conversion of up to 50 PDF documents to supported export formats at a time; 5. Stand-alone application, does not require Adobe Acrobat to be installed on the system; 6.it works with Lion! 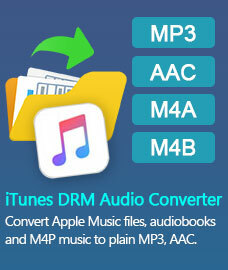 PDFMate PDF Converter for Mac would be a new star of PDF to EPUB converter on Mac app store. Although it is not released for so long time, it has already shown a great feature and presented high quality on the converted files. PDFMate PDF Converter for Mac is a powerful converter which has a nice capability on outputting EPUB eBooks, Word, Text, HTML files, common JPG image files, and SWF from original PDF file. 1. Convert PDF files to Word, EPUB, HTML, text documents, images and SWF format; 2. Support batch conversion to convert unlimited files to other format files with fast speed; 3. Support drag and drop adding PDF files for converting; 4. Handle well with multiple-column PDF which enables users to turn columns of content into logic and tidy paragraghs; 5. Customizing output offers the options for users to convert the whole part of PDF as well as part of them; 6. 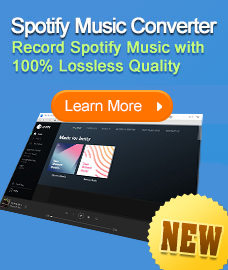 Specify the exact page for converting.